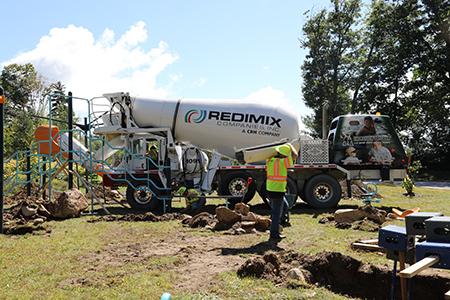 Manchester-based Redimix Companies recently provided the site work and concrete footings needed by Lakes Region Community Developers in its effort to build a playground at is Lochmere Meadows affordable housing development in Tilton. LRCD raised $38|! !|000 over 18 months|! !| which was enough to pay for the playground equipment and the wood chips required for surfacing|! !| but not the site work and footings. ProQuip also donated equipment to safely complete the dirt work and spread woodchips. Some 9,146 square feet of office space has been leased to Hellenic American University at 436 Amherst St., Nashua. Hellenic has two campuses – one in Nashua and the other in Athens, Greece. 436 Amherst is a 34,000-square-foot Class A office building. John Jackman of Jackman Commercial Realty announced the transaction. Physicians Resources has leased the remaining 12,000 square feet of space at 316 Daniel Webster Highway in Merrimack. The firm, which previously was located in Amherst, will be doubling its size in the new space, with plans to add additional employees, according to Doug Martinof Colliers International’s Manchester office, who represented the landlord, Riley Enterprises, and assisted the tenant in this transaction. Brookstone Builders Inc., Manchester, has been awarded a renovation project by Lantheus Medical Imaging Inc. to renovate and combine two clean rooms at Lantheus’ Billerica, Mass., campus. The scope of work will include interior demolition, installation of new drywall, insulation, acoustical ceilings, and floors, the relocation of ductwork for enhanced ventilation, lighting upgrades, as well as masonry and finish work. A 4,032-square-foot office building at 642 Central Ave., Dover, has been sold by the Dennis Ciotti Revocable Trust to Labelle Herman Real Estate Holdings. The building will be occupied by Gateway Retirement Solutions, which will be relocating from Rochester. Gateway provides Medicare, life insurance, long-term care and financial planning services. Wes Labelle is president of Gateway. David Choateof Colliers International’s Portsmouth office represented the seller and assisted the buyer. According to the Strafford County Registry of Deeds the purchase price was $405,000. Laconia Housing has completed $300,000 in improvements and upgrades at its Northfield Village units, including a new heating and hot water system, parking lot reconstruction, and security cameras The property’s 36 one-bedroom apartments are home to lower-income seniors and individuals with disabilities. 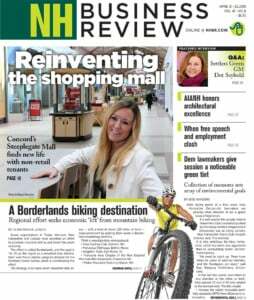 The upgrades were made possible through financing provided by the NH Housing Finance Authority.